The company responsible for Scotland’s national stadium have announced they will be laying a new turf ahead of the Scottish League Cup final. The state of the Hampden Park pitch was called into question after it was observed to be in poor condition following Queen’s Park’s game with East Stirlingshire. Large sand covered, grass-less patches were visible in both goal-mouths, as well as a long streak leading from the sideline to the centre spot. Some wondered whether it would be a source of embarrassment for Scottish football when Ross County and Hibs meet next month for the final of the League Cup. The turf was heavily criticised last season after large chunks taken out of the grass could be viewed during the Old Firm League Cup semi-final between Rangers and Celtic. Hampden Park Ltd have confirmed that the pitch is not currently in appropriate condition for a match of such magnitude and it will see a new pitch installed before the event. Managing director Peter Dallas said: “In light of recent speculation regarding the condition of the playing surface at Scotland’s National Stadium, Hampden Park Ltd can confirm that a new natural grass pitch will be laid ahead of the Scottish League Cup Final. “Like many surfaces across Scotland, Hampden Park has suffered due to prolonged inclement weather and, in particular, heavy rainfall since the turn of the year. 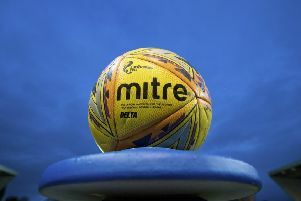 This has been exacerbated by the programme of fixtures for Queen’s Park FC, who play their home matches at Hampden Park. “While the best efforts of the ground staff have ensured Hampden’s playability, nonetheless, with a series of showpiece matches due to take place this spring, the board has taken the proactive decision to provide the best possible conditions for these matches. “Work on relaying the pitch will commence immediately after the Queen’s Park match against Berwick Rangers on 5th March. Hampden will also host a Scotland friendly against Denmark, the Petrofac Training Cup final, and the semis and final of the Scottish Cup before the end of the season.